Okeechobee Bass Fishing Guide Dr. Charles Classen from North Carolina found some big fish on his trip this week. The weather is cooling and the big fish are coming up to spawn and some are still schooling on shad and shiners. Now is the time to come as we are catching great numbers of fish each day. Call us at 772-501-6886 or email us HERE! 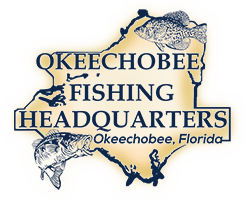 The post Okeechobee Bass Fishing Guide- 11/1/2017 Okeechobee Fishing Report appeared first on Lake Okeechobee Bass Fishing at it’s BEST! Top Fishing Guides. The post Okeechobee Fishing Guide 10/26/17 appeared first on Lake Okeechobee Bass Fishing at it’s BEST! Top Fishing Guides. The post Okeechobee Fishing Guides-Okeechobee Fishing Report 10/20/2017 appeared first on Lake Okeechobee Bass Fishing at it’s BEST! Top Fishing Guides. The post Okeechobee Fishing Guides- Okeechobee Fishing Report 10/17/2017 appeared first on Lake Okeechobee Bass Fishing at it’s BEST! Top Fishing Guides. Thomas Jackson and his son in law caught some beauties and brought in about 30 bass this Tuesday morning. Okeechobee Bass Fishing is fantastic right now and now is the time to come enjoy the beauty and serenity of the lake. The wind blew us around a lil but but it didn’t stop us from cathing em. The post Okeechobee Fishing Guides- Okeechobee Fishing Report 10/16/2017 appeared first on Lake Okeechobee Bass Fishing at it’s BEST! Top Fishing Guides. The post Okeechobee Fishing Guides- Okeechobee Fishing Report 10/13/17 appeared first on Lake Okeechobee Bass Fishing at it’s BEST! Top Fishing Guides. The post Okeechobee Bass Fishing-Okeechobee Fishing Report 10/12/17 appeared first on Lake Okeechobee Bass Fishing at it’s BEST! Top Fishing Guides.